Browse our range of quality bathroom blinds, read our practical advice and tips and make an appointment with an expert advisor. Bathroom blinds should be practical as well as beautiful. 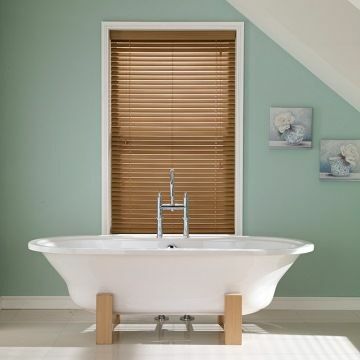 Our huge range of blinds includes specialist fabrics and finishes that make them ideal for bathrooms. We’ve collated them all here for you, so you can find a style solution you love.